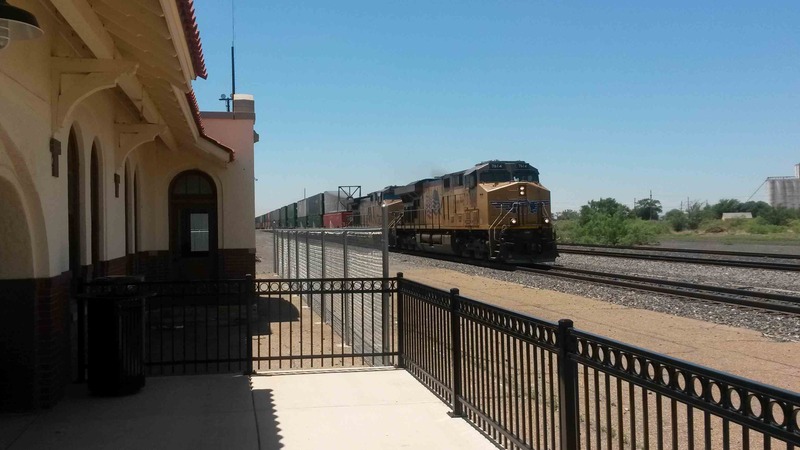 A freight train passes by the train depot. It makes lots of noise. A freight train comes roaring by.